How many days until you say “I Do”? 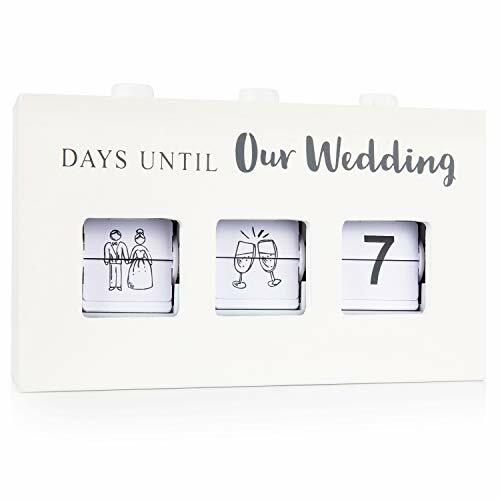 From a couple of months to a couple of years, you’ll count down the daystoyourweddinginthecutestofwayswiththisbeautifulweddingcountdownboxfromAmehla.OurhandmadeX​ X​wood“Days Until Our Wedding” countdown box has 3 push buttons on top connected to mechanical components inside that rotate what’s shown within the front viewing windows. To get started, simply press the push buttons to make a choice how many days are left until the big day. 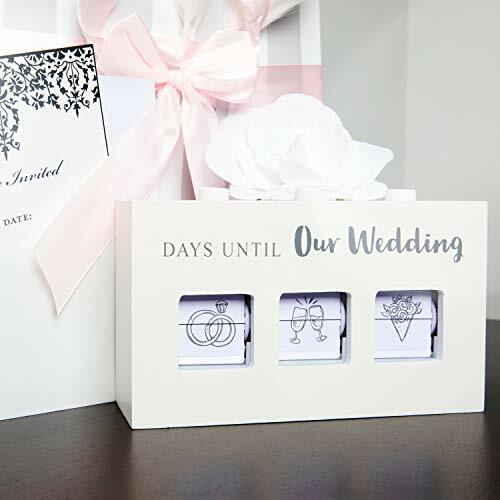 Press the buttons on a daily basis to mark one step closer to your walk down the aisle! 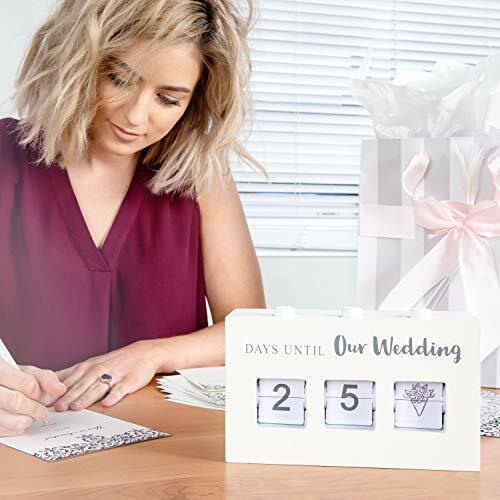 Numbers range from 0-9 so your countdown can go all of the way from 999 days down to 000 to celebrate your exact wedding day. Pressing the button and seeing time pass isn’t just exciting, but helpful reminders for wedding planning purposes, too! 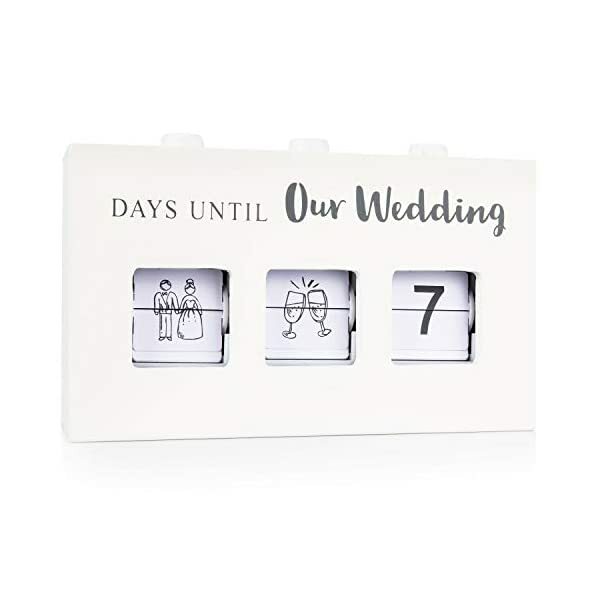 If the number of days until your wedding isn’t in the triple digits or you’ve reached that point in your countdown, you’ll change the signs to reveal little wedding themed icons instead of numbers. The icons include a bride and groom, a wedding cake, a car, a pair of rings, a pair of champagne glasses, and a wedding bouquet. 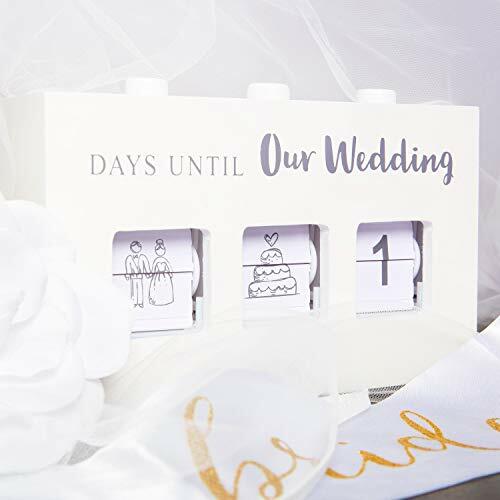 The pictures are beautifully drawn and add the easiest amount of flair to the cute countdown box! 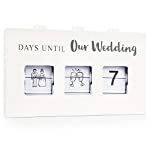 Each “Days Until Our Wedding” countdown box measures 7.5 inches wide, 4 inches tall and is 2.5 inches deep to be small and compact enough for simple display on a desk, shelf or table. 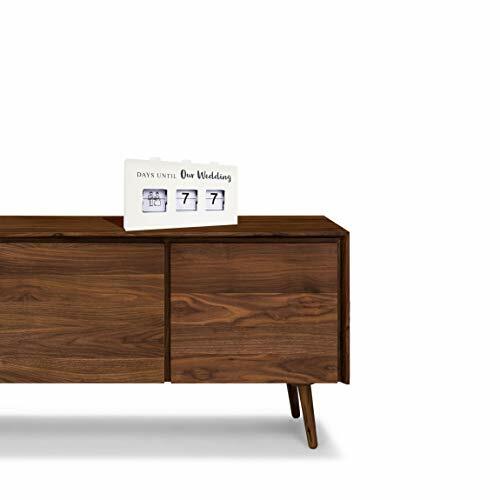 It looks wonderful with any home or office decor so you’ll proudly display it anywhere. 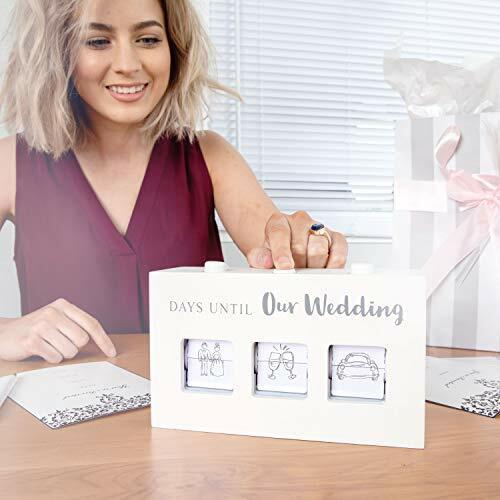 The Amehla wedding day countdown box is lovingly handmade that will help you celebrate your engagement and keep track of the days until your happily ever after. 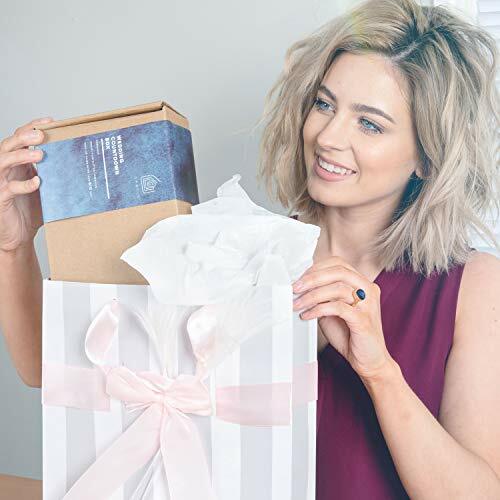 The boxes are unique and useful engagement gifts for you and your fiance and also make thoughtful bridal shower and engagement gifts for family and friends. Get yours today!